Do I need a license to open a medical billing home based bussiness? I have a 2 years experience with medical billing and coding. My background study is a Bachelor in Computer Science. Right now I am preparing for the Certified Professional Coders exam and will get certificate soon. I want to work from my home by starting a billing company. Do I need a license? What are the other requirements? Is my working experience(knowledge of coding) sufficient for opening billing company? Your experience (2 years) in Medical Billing combined with your knowledge of coding is a good foundation for starting a billing company. Not to mention your computer science education. You know a lot more than I did when I got started! I started out working from home until I learned enough to start a medical billing home business. It also gave me a chance to learn some medical coding from home. Having a home office really helps keep your costs down. If you want to start a billing and coding service I would recommend getting some experience working for a provider, hospital, or billing service first. I helps you become knowledgeable with the billing and coding process, dealing with insurance companies, etc. I don't think I could have succeeded without the practical knowledge I gained by working for a billing service before striking out on my own. I found one of the hardest parts of starting a billing business was getting clients. It took time for me to get my name out there and convince doctors and office managers to trust me with their billing. Office managers can be a great asset - many are so overwhelmed that they welcome the idea of outsourcing the billing responsibilities. I tried to cover some marketing tactics and resources that helped me - and that I still use. Another thought with your computer science background; A lot of practices have a need for software help. Especially those installing new Electronic Medical Records software. The setup and training is a great opportunity for someone like yourself with background in computer science. From what I've seen it can also be very lucrative. You might want to look for opportunities with a practice management or electronic medical records software vendor or distributer. As far as licenses, the only license you need is a business license from your local municipality - city or county. In my case I'm in the city limits so I have to have a city and county license. Of course it varies depending on where you live. The cost for me is between $200 and $250 a year - you have to renew every year. Most of that is for our city license. It varies depending on how much the business made the previous year. The license application process is pretty easy - it usually involves filling out a few forms and maybe a brief review process by your local municipality. You may also want to obtain a federal tax ID also which is simple to do from the IRS web site. Just visit your local city or county web site and you'll usually find everything you need to apply there. It's not a very difficult process - most local governments encourage small business start-ups and want to help you succeed. Probably the best place to start is talking with a local accountant about getting starting. They are usually very familiar with what licences you will need depending on your business structure and location. I've tried to compile everything that was helpful to me getting started here. Sounds like you have the important things - training and experience covered. Another commitment is the billing software. I currently maintain a server and software but would like to get away from that. For one client we started using Kareo software (www.kareo.com). No software or hardware to purchase and maintain, just a monthly fee depending on services and number of providers. It also means you don't have to worry with software maintenance and backup. Thanks for the question Krishnaben - I know I've rambled here but I hope this helps. Remember medical billers (and coders) provide a very valuable service and with your experience, education, and training you have a great chance to be a successful medical billing business owner. Comments for Do I need a license to open a medical billing home based bussiness? Hi. I did associates in applied science. And I have 6years experience working within medical fields and as medical biller. I want to open my own billing company. I am not certified but I am not quite sure what are the requirements in NY. Please help me. Great info! Do i need to pass the hipaa compliance for medical auditing and billing? I have a office in wilmington, Delaware and I'm getting a new clinet in Maryland do I need Maryland license? I dont have any employee or office in Maryland. Thank you for that information. I have been wanting to open my own business. i have 20 years of medical billing. I have almost 2 years experience in Medical billing and coding, plus, I have information science master degree with more than 5 years financial and accounting working experience. Now, I want to start my own business in Dental Medical Billing. Thank you for your information. 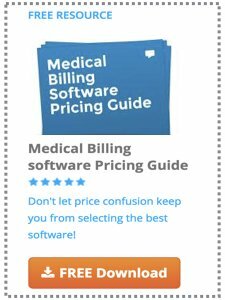 Does anyone know about any decent and cheap software for dental billing? Thanks for the explicit answer to my very same question as the other person. I too am considering to start my own Medical billing from my home...I have worked extensive in Healthcare Medical Administration. I have a Masters in Healthcare Services Administration. I am not a certified coder, but I have several yrs of billing and coding experience. You covered my concern with my business being licensed.